Coping with emotional upset is not easy for a youngster. 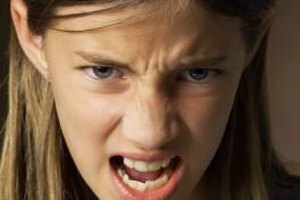 Even the well-adjusted tween will lose her temper at times, but some display out of control behavior often and can be a source of frustration to parents. Parental strategies can be used to soothe your child and teach her tools to cope with overwhelming feelings of sadness and discomfort, which lead to emotional upsets. Learning to deal with anxiety, stress and disappointment are important lessons children need to practice over time to become mature adults. It's a balancing act between parental support and allowing children to master control over their behavior. Figure out why your tween is experiencing emotional distress. James Lehman, child behavioral therapist, explains that this can be done by paying attention to your child's actions, gathering clues by talking to her and being aware of what might be happening outside the home. Using this information, talk with your child about what circumstances cause her stress. Explain that there are tools she can use to control her disruptive behavior. During outbursts is not the time to have these conversations. Do it when your tween is calm and relaxed. 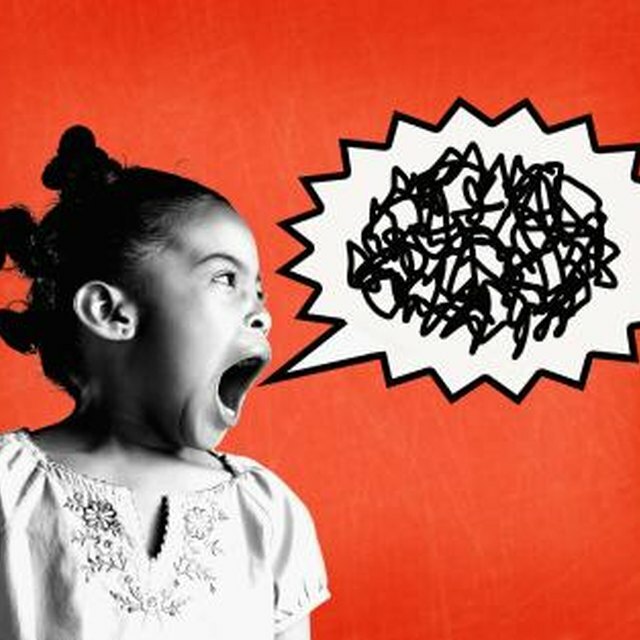 A common parental response when children in the tween years fall apart emotionally is to react by shouting back, demanding compliance or negotiating to end the disruption. It's difficult for parents to see their tweens sad and upset. Stay relaxed, but be firm. Refrain from lecturing and showing anger in the midst of a tantrum. This only makes the child's reactions more intense. Attempting to reason with your child will usually result in opposition. Use your eyes to convey messages. Maintain eye contact. Pay attention to the tone of your voice and use body language to communicate. Minimize talking, especially using angry comments. Use a gentle touch to reassure and bring relaxation. Attempt to get your tween to go to a place where she can use skills like deep breathing, listening to music or writing to gain control of herself. Suggest that she have something to eat. Meeting physical needs can help with emotional turmoil. She needs a chance to practice getting herself under control. Dr. Frank Lawlis, author of "Mending the Broken Bond," recommends parents and tweens express forgiveness after an episode of anger or emotional upset. Design a plan to consistently practice effective ways to help your tween gradually handle her own emotional upsets. Your child will lose control simply because she is still maturing. Keep in mind that her brain is still developing, and she is probably beginning to experience hormonal changes. The hope is to make the episodes occur less often and with less intensity. If your tween begins to display extreme behavior during a tantrum such as physical contact with family members, throwing things or making angry threats, consult a health care professional. For the past five years, Kitty Walker has written articles for websites in the areas of health, family and relationships and education. She has also worked as a discussion leader on a writing site. Walker has a Bachelortof Arts in sociology from the University of Washington and a Masters in Teaching ESL.